Curtains and drapes separate the interior of a home or office space from the outside. Dust and dirt is easily retained on the surface and in the folds and hems of the material. Due to the sheer volume of material used in curtains, cleaning them is a laborious task. The method you use to clean curtains should depend on the type and durability of the fabric. 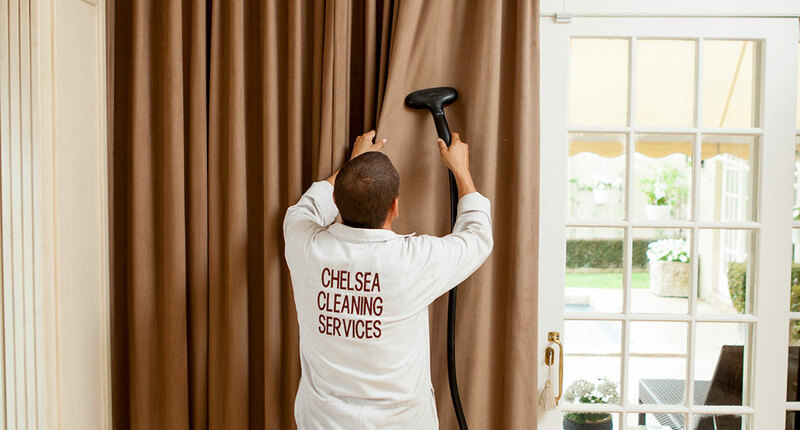 Heavy complex materials such as velvet or brocade require a completely different curtain cleaning system to lightweight curtaining fabrics such as gingham or chintz. Washing curtains by hand is a lengthy and labour-intensive process. It’s usually necessary only for delicate fabrics. You can determine whether your curtains require special care by checking the manufacturer’s washing instructions on the label. If washing by hand is recommended, all hooks, curtain weights and fittings must be removed. Select a gentle washing detergent without a bleaching agent and test it on a small area of the fabric. After confirming that the detergent won’t damage the fabric, allow the detergent to dissolve in warm water before adding the curtains. 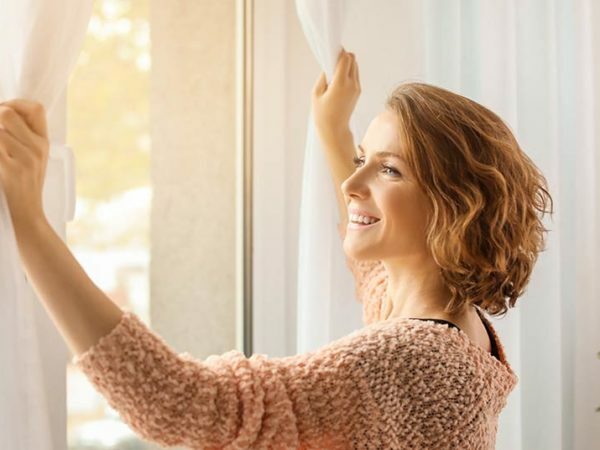 Lightly squeeze or compress the length of the fabric, rinse thoroughly and then either tumble dry or hang the curtains in a clean, wind-free area. Machine washing is suitable for most modern curtaining fabrics, including cottons, linens and woven textiles. Manageable lengths can be washed at home, whereas it’s best to use industrial washing machines for large volumes of fabric. Select a delicate, cold-water wash cycle and use a light detergent. If the material is badly stained, it may be appropriate to use a warm water cycle – but be sure to check the label first or the material may shrink or fade. If the curtains are dark in colour, consider using a purpose-designed dark colour detergent for the best results. Dry the curtains in a tumble drier set on low heat until partially dry and then re-hang. The weight of the curtains will smooth out any wrinkles. 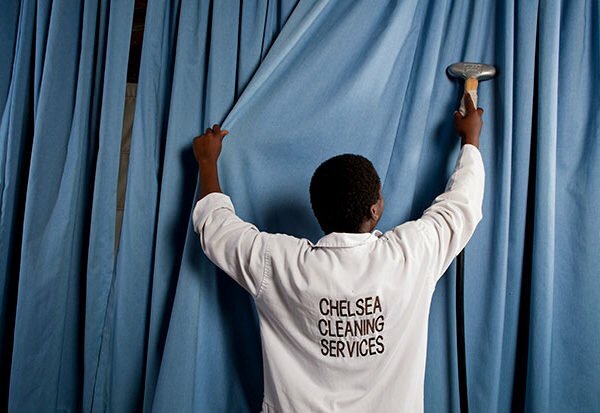 Dry cleaning is a specialist technique best left to curtain cleaning experts. 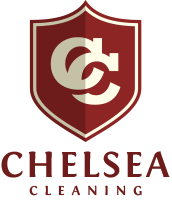 It typically involves stain removal and dry cleaning with chemical solvents known as perchloroethylene, or percs. Creases or wrinkles are steamed out and the curtain is re-hung in pristine condition.